There’s a dirty little secret that investors seemingly try their best to ignore. You won’t see it floated in media headlines. It’s doesn’t generate clicks, it doesn’t get likes, and worst of all is that it’s boring. Yet it’s one of the easiest investing axioms that individual investors like you and I can use to truly create life-changing wealth. Now, here’s the best part: All it takes is a little patience. Ask yourself if you’re willing to sacrifice the anxiety, stress, high risk, and, yes, the thrill that can come from trading stocks over a matter of days and weeks. Warren Buffett said it best when he said that money is made in investments by investing in and owning good companies for long periods of time. According to him, targeting good companies will perform for shareholders 10, 20, and 30 years from now. And today, there’s one sector that breeds these profits consistently. We recently talked about how America’s energy dominance is just getting underway. The United States is now the number one producer of oil and natural gas anywhere in the world, and for the first time in 65 years, we are a net exporter of energy. 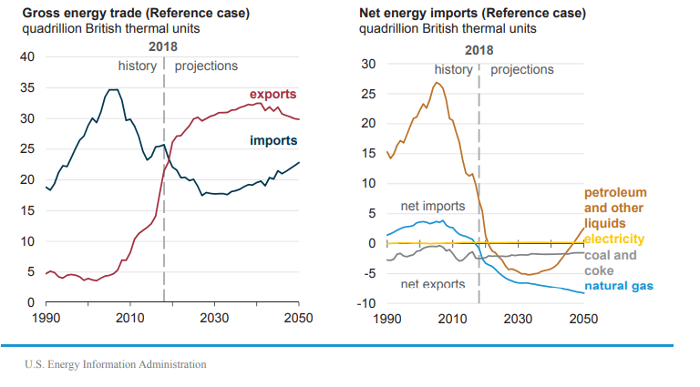 In its Annual Energy Outlook 2019, the EIA reported that the U.S. is on pace to become a net energy exporter in 2020. I’m pretty sure the president meant that the U.S. had recently become a net natural gas exporter for the first time since 1957... Let’s chalk it up to an overzealous speechwriter. What IS true is that the U.S. has become an absolute powerhouse in energy production. Of course, we both know it’s common for any sitting president to take credit for any good news, even if it would’ve taken place no matter who was in office. George W. did it with low gas prices, and Obama did it when the shale boom started back in 2008. Neither can lay claim to those events, just as Trump can’t take credit for the fact that U.S. oil production is projected to climb above an eye-popping 14 million barrels per day through 2040. Let’s be honest here: It doesn’t matter who’s sitting behind the Resolute desk in the Oval Office. The U.S. energy boom is gaining steam. Like I mentioned earlier, the dirty little secret most investors overlook is that true wealth creation doesn’t come quickly. And the name of the game is to find those low-risk income-paying investments that will be lining your pockets — and not just over the course of a few weeks or months. We’re talking about generations of slow and steady profits you can rely on. For that kind of safe haven, look no further than the U.S. energy sector. 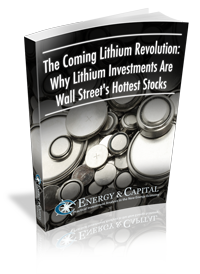 In some cases, certain energy investments have paid out reliable dividends to shareholders for more than a century! Naturally, the first one that comes to mind is ExxonMobil, which has been steadily increasing its dividend for nearly four decades. Johnson Controls, meanwhile, has both weathered the worst economic storms and profited from strong bull runs, paying its shareholders a consistent payout for 132 years! In several cases, utilities have gone on multi-decade streaks of increasing dividends. Now that the U.S. is producing record amounts of crude oil and natural gas, a new opportunity is opening up inside the U.S. energy sector. That’s what my readers and I are taking full advantage of right now. And since you’re part of the Energy and Capital investment community, I want you to have an exclusive sneak peak at a new investment report I’ve been working on that targets the exact same kind of strong, safe dividend players that should be a part of every investor’s portfolio. You can access it right here and check out the full details at absolutely no cost to you.